We will be practicing Monday and Wednesday nights at 6:00. At this time the plan will be to have practice at the Meadows wrestling room. Please plan to bring a workout partner! All wrestlers must be registered to participate in practice. Please contact us if you have any questions/concerns. Attached are some suggested tournaments for MWC wrestlers. 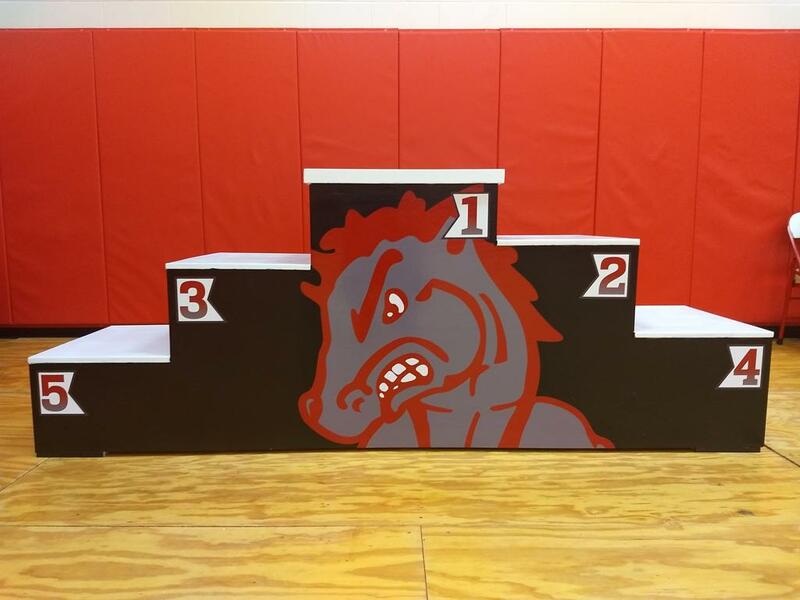 Thanks to Ken Ferguson for our new podium! It looks Awesome. Also, thanks to Troy Fenn and Kness Signs for the decals. Providing instruction to Dallas Center - Grimes registered students from Pre-Kindergarten through 8th grade. Want to add TrackWrestling to your site? ©2019 DCG Mustang Wrestling Club / SportsEngine. All Rights Reserved.